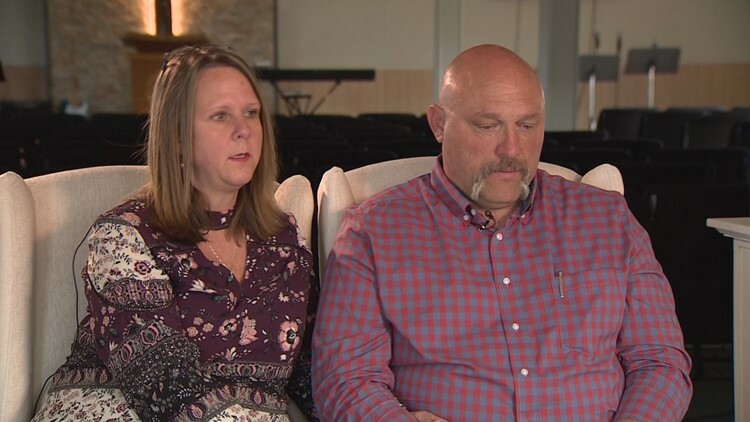 Frank and Sherri Pomeroy of Sutherland Springs have been invited to lead a prayer at the White House on the National Day of Prayer next week. Frank and Sherri Pomeroy, the pastor at First Baptist Church of Sutherland Springs and his wife, have been invited by President Donald Trump to join him at the White House for the National Day of Prayer on Thursday, May 3, according to a source. The Pomeroys are expected to lead a prayer. Shooting survivor David Colbath, his son Morgan Colbath, and Sherri Pomeroy’s sister Sylvia Timmons will also attend. In November 2017, 26 people died in the worst mass shooting in Texas history at the church in Sutherland Springs, including Annabelle Pomeroy, Frank and Sherri’s 14-year-old daughter. The Pomeroys will be back in Sutherland Springs for the groundbreaking of a new church on May 5.